Time flies when you’re a parent. So does money. For example: is it already a year since your last back-to-school shopping extravaganza? At least some parenting purchases have more staying power than a new backpack. 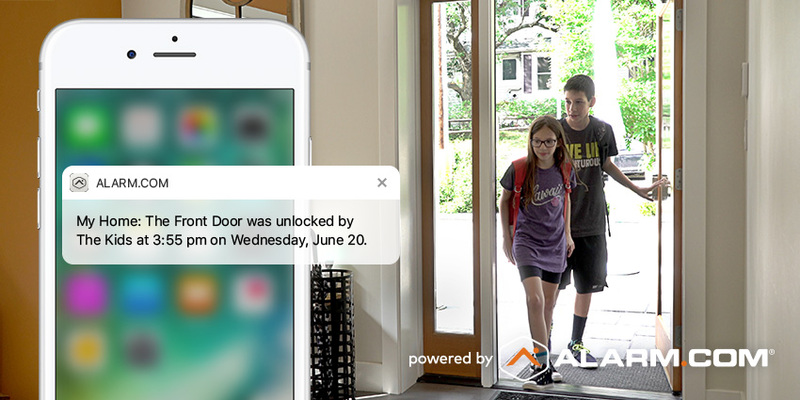 Take smart home security powered by Alarm.com, a back-to-school essential for many working families with older children. With an array of after-school safeguards for your kids, it delivers peace of mind throughout the school year, and for years to come. Your kids can even grow into it as they become more independent—which is more than we can say for their new sneakers. 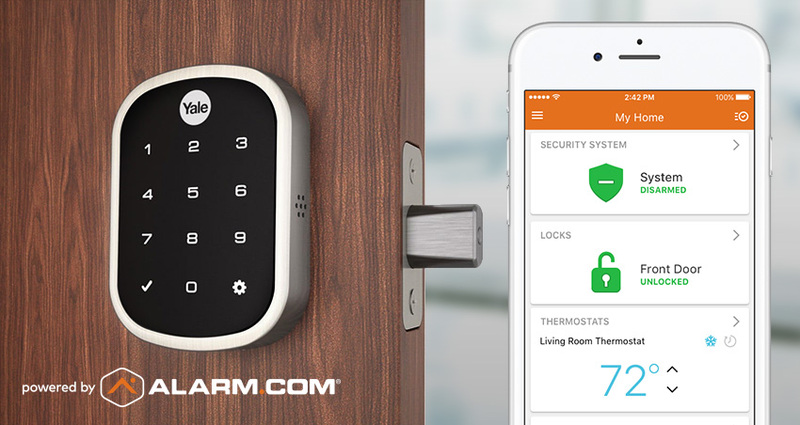 As soon as your kids are old enough to arrive home on their own, Alarm.com starts making things easier with keyless smart locks and user codes for easy access. Unlike keys, user codes can’t be dropped, lost on the bus, or left in the door. If forgotten, its owner can ring the doorbell camera and you can unlock the door from work. Like a set of keys, however, your child’s first user code can still confer a sense of responsibility that they’ll love. With every school year, your kids grow a little more independent. Meanwhile, you worry just as much as you ever did, and you need to know they’re okay after school. Your Alarm.com app is here to help, offering peace of mind via quick, visual check-ins. You can see a quick snapshot from any Image Sensor, view a live feed from your indoor or outdoor cameras, and even get front-door video clips of your kids arriving home. 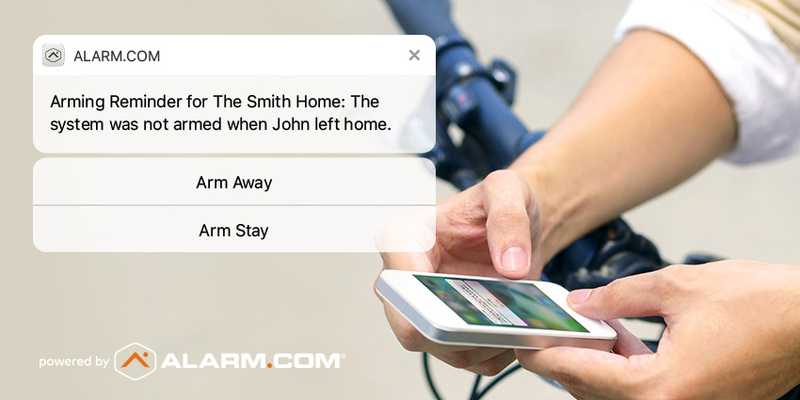 If you prefer a hands-off approach, Alarm.com also offers a range of custom alerts for specific activity and events, such as the kids not arriving home on time, or even the videogame cabinet being open for too long. As kids get older, they have more going on, which means they forget things. Unfortunately, this often includes securing the house when they’re last to leave. Alarm.com can help with actionable smartphone reminders. Once your teens have their own Alarm.com app, your house can remind them directly if a door isn’t locked, or the garage is open, or the security system isn’t armed when it should be. They’ll be able to fix things quickly with a remote command. 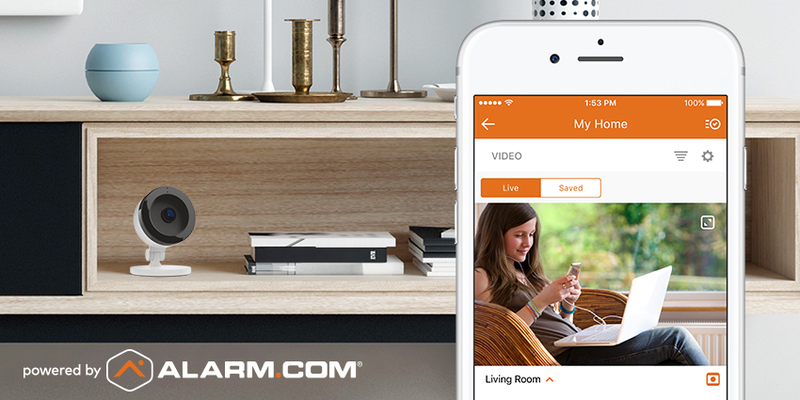 Unlike this month’s back-to-school buys, Alarm.com keeps up with your family as you grow. When it’s time to add a new device like a doorbell camera or smart lock, your service provider is on hand to help. We also deliver new features and updates digitally through the cloud, keeping your Alarm.com-powered home at the cutting edge of smart home technology. To add smart home security to your parenting toolkit this year, enter your ZIP code below and get connected with an Alarm.com service provider. Summer Children Safety Tips…This is the last in my series of blog posts on ways to make your home safe and secure for the summer months. In previous posts, I have written about. 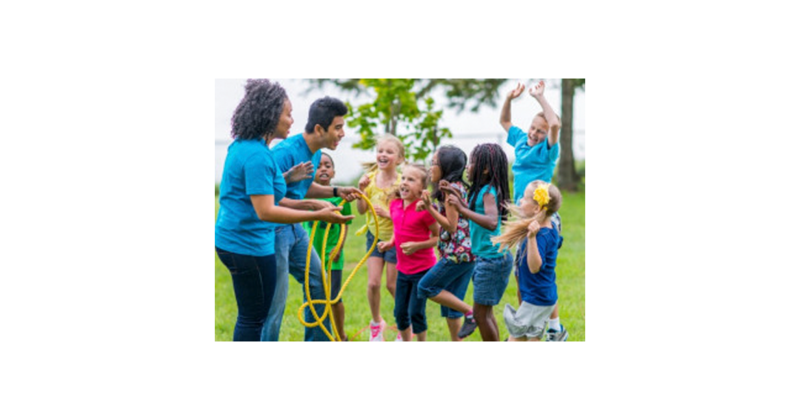 In this post, I write about summer children safety tips for your children. Did you know that May through August has the greatest number of children injuries and deaths? With children being home for the summer, they have less adult structures and more opportunities for injury. Here are some areas to talk over with your children for their summer safety. To learn more about any of these safety areas, click on the link to SafeKids. Be safe and make sure your children are safe for the summer. 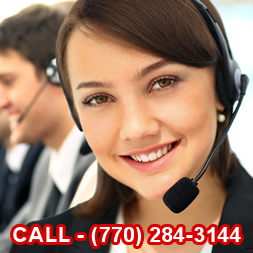 To know their full name, age, telephone number, area code, city and province. How to phone long distance in an emergency, by dialing direct or with the operators assistance. How to contact you, or another close relative in an emergency. How to contact a trusted neighbor, police, fire or ambulance services and when to make these calls. When children are home alone they should tell phone callers that you are there, but you are busy and cannot come to the phone. The phoning party can call back later. Teach your child to cut short any phone calls with strangers and hang up the telephone if a stranger continues to talk. When children are home alone, find out the identity of the person who comes to the door, without opening the door. If a stranger is at the door, teach your children to tell the stranger that your are busy, and he/she should go away and come back later. Teach your child not to engage in conversation with the visitor. If the child feels threatened, teach him to phone an emergency number. Emergency numbers could be your telephone number at work, that of the police or a trusted neighbor who will be home. Where possible, your children should play and walk with other children. 1. Keep dorm room doors locked at all times. Keeping your dorm room locked is a first line of defense against unwanted visitors and threats against personal safety. Always lock the door when you are in your room or away from it, and never give out spare keys or door codes. 2. Whenever possible, walk with a friend or a group. There is safety in numbers. When you are walking on campus, especially at night, walk with a friend or with a group whenever possible. Let your roommate know your schedule and when you’ll think you’ll be back in the dorm room. 3. Don’t allow strangers in your dorm room. If someone is at the door that you don’t know or aren’t expecting, don’t let them in. It’s always best to be safe. Many attackers will force their way in when you open the door. Attackers often lurk in dark or dimly lit stairwells, waiting for an unsuspecting victim. If you are walking alone, it’s best to avoid dark stairwells in buildings and parking garages whenever you can. When possible use the elevator instead. 5. Carry mace, pepper spray, a loud whistle or other personal security item. You can ward off a would-be attacker and protect yourself by carrying a loud whistle or personal alarm. Mace or pepper spray can also be useful; you just need to be careful that you use the sprays properly. It’s also a good idea to take a personal defense class, which will prepare you for what to do if someone tries to attack you. 6. Limit walking on campus at night. The majority of attacks on campus happen at night. Avoid walking alone on campus when it gets dark. And if you have to, walk in well-lit populated areas or walk with a friend. 7. Don’t post personal information on social media. College students love social media. However, posting a lot of personal information such as your location, phone number, date of birth, personal photos and your whereabouts—can put your personal safety at risk. Posting personal information can leave you vulnerable to stalkers, attackers and identity and other people who may jeopardize your well-being. Following the above tips can enhance your personal safety and keep you safe on campus. I hope that you have found these posts on school security useful for you and your children. This is the second post in a series of three posts about school security. When you read the experts, they will tell you that despite all of our security measures and policies, we cannot guarantee school security for our children. When it comes to high school students, they are old enough to take more responsibility for keeping themselves safe. The following article from Educationbug share some ways high school students can take responsibility for their school safety. Know where you are. As they move from class to class, students should be aware of the location of the nearest exit, the nearest hand sanitizer, and the nearest fire alarm. They don’t need to be obsessive about this: they just need to be mindful. Get to know the people around you. By learning about their peers and the school’s faculty and staff, students will learn whom they can trust and whom they can rely on should a safety issue arise. Beyond that, knowing the people you’re with helps to provide a sense of belonging. Know the rules. It’s impossible to avoid behaviors like bullying and harassment, including sexual harassment, if you don’t have a good understanding of what they are. Read the school’s policy or ask a guidance counselor if you are unsure. In addition, students should know policies on what is considered a weapon (some students have received detention or suspension for unintentionally violating such policies), the guidelines for the school dress-code, and any other school rules that they are expected to follow. Report suspicious, wrong, risky, and dangerous behavior. Even students who are not in themselves engaging in unsafe behaviors can contribute to an atmosphere of unrest and danger if they don’t report problems that they see. Reports can be given anonymously, and they need to know that if they see something suspicious, they don’t have to be sure that it was wrong: the school officials who investigate are the ones responsible for determining that. Keep yourself out of trouble. In avoiding problematic behaviors such as acting out, harassment, drug use, gang membership, bullying, rumor-mongering, and the like, students not only keep themselves on the straight and narrow, but also set a good example and help to create a good learning atmosphere for others. Follow all safety protocols. When students take classes like chemistry, shop, and stage design, they work with equipment and materials that can cause injury. It is essential for their own safety and the safety of others that they follow all the guidelines for handling equipment and materials and wear the proper safety garb, and that they know where first aid kits are and how to use them. In physical education classes and as members of athletic teams, particularly when engaged in contact sports, it is essential for students to show regard for the safety of themselves and others by following all training practices, including wearing appropriate and properly adjusted equipment, and following guidelines for stretching and strength building before engaging in joint activities. Be a Safe Driver or Passenger. Not only on the streets, but especially in the school parking lots where there are many pedestrians walking in unpredictable patterns, safe driving is a key issue for high school students whose transport to school is a student-driven automobile. Automobile passengers help keep everyone safe by wearing seatbelts and not distracting the driver. 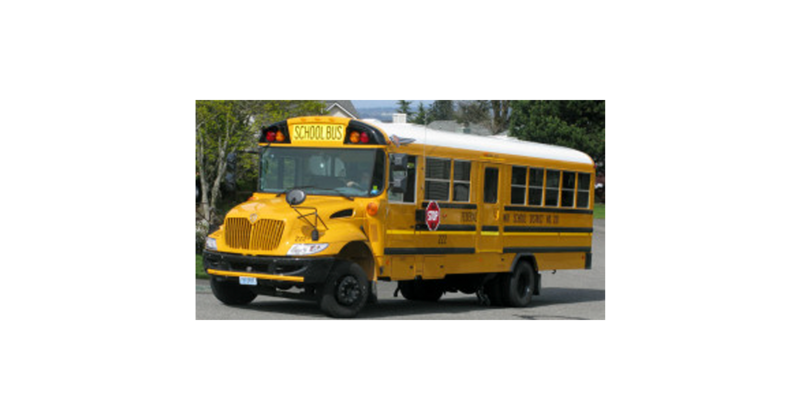 School bus passengers help keep everyone safe by entering and exiting the bus in an orderly manner, sitting properly in bus seats with only the acceptable number of students per seat, avoiding distracting behavior, and following the bus driver’s directions at all times. Plan Your Out. In the course of your high school career, you may be invited to try drugs, alcohol, or tobacco or engage in a behavior that is against the rules, risky, or dangerous. If you know what your answer and behavior will be beforehand, you’ll be less off guard if such a thing happens.